What is the Punishment for Public Intoxication in Texas? 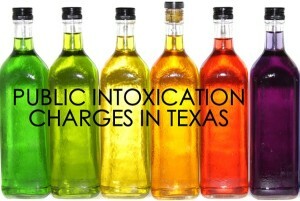 Home » NEWS » What is the Punishment for Public Intoxication in Texas? Is a Texas Public Intoxication charge a serious offense? What is the Possible Punishment for a PI in Tarrant County? We often receive calls or emails from people in Tarrant County who have been arrested for or cited with Public Intoxication (PI) in Fort Worth. Typically, they contact us to determine how serious a PI charge is in Texas and what the possible punishment might be. They want to know whether this is something they should handle on their own or whether they need a criminal defense attorney to help. Generally, Public Intoxication in Texas is a Class C misdemeanor. Some might tell you that a Class C misdemeanor is the same as a traffic ticket and that is somewhat true. However, some Class C convictions can have a much larger impact on your future than a simple speeding violation. So when someone asks me whether they need an attorney to help them handle a PI, I tell them yes. You won’t need to pay an arm and a leg, but a criminal defense attorney can help ensure that your rights are protected throughout the process and can, hopefully, set your case up for a dismissal and an expunction down the road. Section 49.02(c) of the Texas Penal Code provides that Public Intoxication in Texas is a Class C Misdemeanor, which is punishable by a fine not to exceed $500.00. However, if a person has two prior Public Intoxication convictions on their record, a third PI can be enhanced to a Class B misdemeanor, which has a range of punishment of up to 180 days in the Tarrant County jail and a fine up to $2,000. This enhancement provision is one of the big reasons that it pays to hire an attorney for each and every Public Intoxication violation in Texas. Should You Plead Guilty to a Public Intoxication Charge in Texas? Sure it is easy to just plead guilty, pay the fine, and get on with life. However, a conviction for a PI, even though it is only a Class C offense, can have a lasting negative impact on your job prospects, military or college admissions, and more. As stated above, a PI conviction can also count toward a future enhancement charge or possible even evidence during sentencing in a DWI trial. If you do plead guilty, please do so after consultation with a criminal defense attorney in your area. A first time conviction for Public Intoxication can result in a driver’s license suspension. The fine for PI for a person under 21 is between $250 and $500. Alcohol education course or alcohol awareness program. If you have been arrested in Tarrant County for Public Intoxication, contact our Fort Worth public intoxication defense attorneys today for a free consultation of your case. We can help you get your PI dismissed and then help you get the entire thing expunged from your record. Call us today at (817) 993-9249.